One of our highly esteemed former graduate students, Hui (Cathy) Liu, (now an assistant professor at Michigan State) received an NIH K01 Mentored Research Scientist Development Award. This five-year project (2013-2018) entitled “How Does Marriage Get Under the Skin? An Integrative Social and Biological Approach” addresses the way various social, biological, psychological, and behavioral mechanisms work together to forge links between marriage and health. The overall goal of this research is to develop an interdisciplinary model for studying the interactions between biological and social processes through which marital relationships affect health over the life course. This K01 award will enable Dr. Liu to acquire formal interdisciplinary training in order to facilitate her transition to an independent biodemographic researcher. 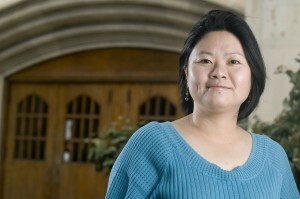 This award is also valuable in helping Dr. Liu to achieve her long-term career goals to integrate interdisciplinary perspectives in research and foster dynamic collaborations across disciplines in order to enhance knowledge of interactions of the social world and biology in producing health outcomes. 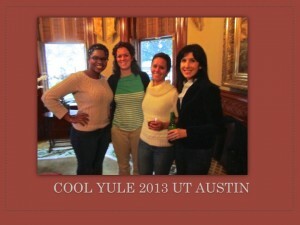 Congratulations Cathy! Flora’s experiences are part of a wider trend in how non-governmental organizations (NGOs) and governments are attempting to incorporate women into social and economic development. Many international policymakers have argued that women’s participation in development programs has the potential to alleviate poverty and advance women’s equality. Yet how do these strategies affect the everyday lives of poor women? 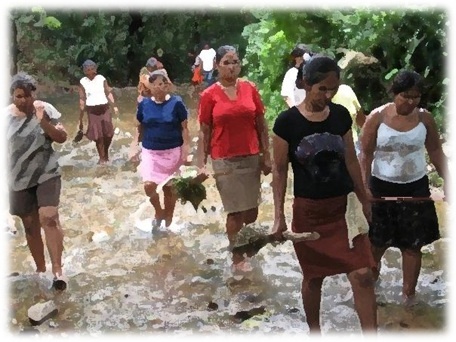 To answer that question, I conducted participant observation and in-depth interviews with women who have been involved in various NGO and state-led development programs in a village I call Loma Verde in northwest Nicaragua. Women’s tasks within these programs typically involve some combination of village clean-ups, child care, and/or health education and training.